Premium litter from the makers of America's first clumping cat litter! Ever Clean Unscented Extra Strength Cat Litter features maximum clumping power that is ideal for multiple cat households, yet it is fragrance-free for cats and people who are sensitive to scents. With maximum clumping power to stand up to increased litter traffic, Extra Strength Unscented is perfect for households that have more than one cat. Ever Clean is made from a premium blend of natural minerals and clays and is 99% dust-free. Ever Clean produces less waste than regular clay litters by absorbing liquid waste into solid clumps. 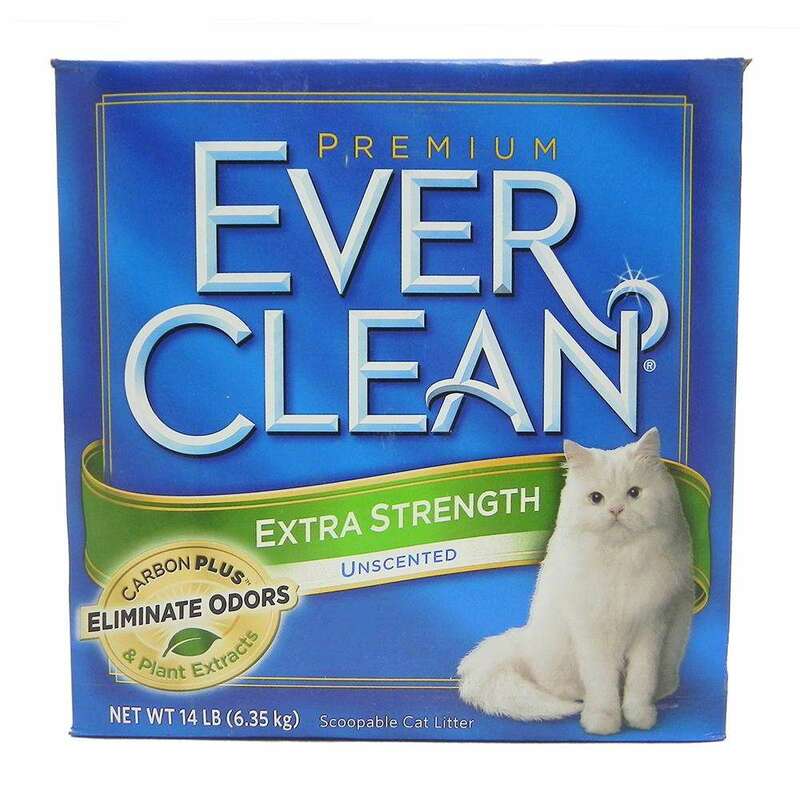 The amazing clumping action of Ever Clean helps prevent liquid waste from reaching the bottom of the litter box where it decomposes and creates odor, and makes your litter box difficult to clean. This also means that you don't have to empty the entire litter box every week. Just throw out the clumps!